The rain is coming and so are the ants! You may have noticed that whenever it rains heavily in Temecula, you are more likely to have ants invade your home. This is no coincidence. Since ants live in shallow nests just below the surface of the ground, it doesn’t take much rain for their nests to flood and send a colony searching for drier ground. Often, that drier ground is inside your home. Even though ants initially find their way into your home to get out of the rain, once they’re there, they inevitably find their way to a food source. That food source can be your kitchen trashcan, or worse, your kitchen pantry. Any food not tightly sealed can be infested with ants before you know it, and you will find yourself having to throw away food that you otherwise could have eaten and enjoyed. We don’t get a lot of rain in the Temecula Valley, but when we do, you need to be prepared. By having a Temecula ant exterminator come to your home on a regular basis to keep the ants at bay, you are much more likely to avoid an annoying ant infestation in your home. Our ant exterminators apply an insecticidal barrier around your home to both reduce the ant population on your property and to protect your home from ant invasion. When you are a regular customer of Knockout Pest Control, and you find ants in your home at any time, you can call us and one of our technicians will come to your house and take care of the problem at no additional charge. At Knockout Pest Control, we offer pest control maintenance plans that offer pest control treatment on a monthly, bi-monthly or quarterly basis. You can choose the plan that works best for your home, but whatever plan you choose, it comes with our guarantee to take care of any pest control problems that occur between our technician’s regularly scheduled visits. 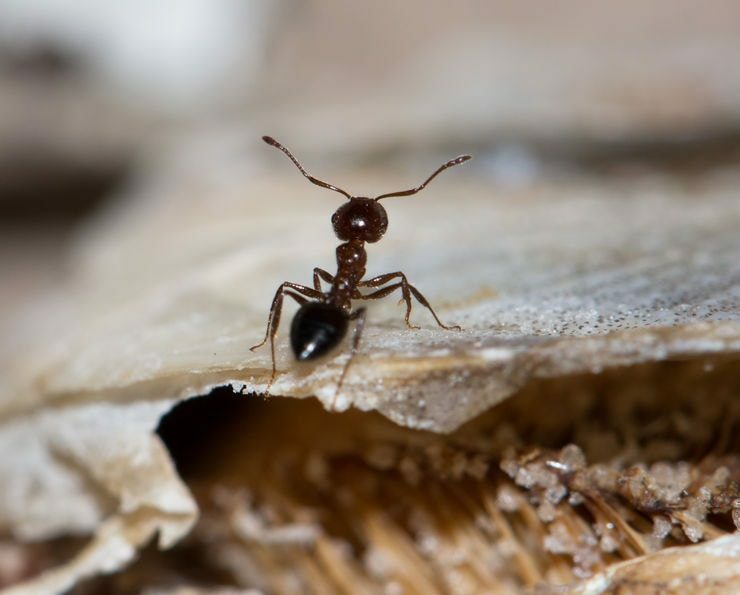 If you aren’t currently a customer of Knockout Pest Control, but are experiencing an ant infestation in your home, we can help with that as well. We can come to your Temecula home, identify the type of ant you are dealing with, and rid your home of the infestation. We can also apply an insecticide around your home to reduce the chances of future infestation. The good news is that most ants in the Temecula area are not dangerous, just annoying. However, no one wants to deal with ants in their home or in their food. If you need to get rid of the ants in your home, or if you want to do everything you can to prevent them from getting in your house in the first place, contact Knockout Pest Control today!